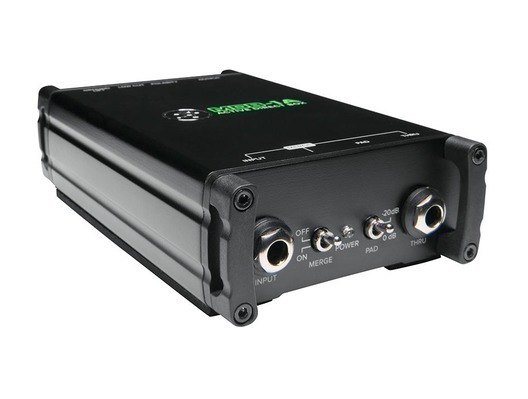 The Mackie MDB-1A is an active direct box in the Mackie MDB DI Box Series. Perfect for use with active instruments such as guitars or basses with active pickups and preamps, it can be used both for live performances and in the studio for a distortion-free sound. 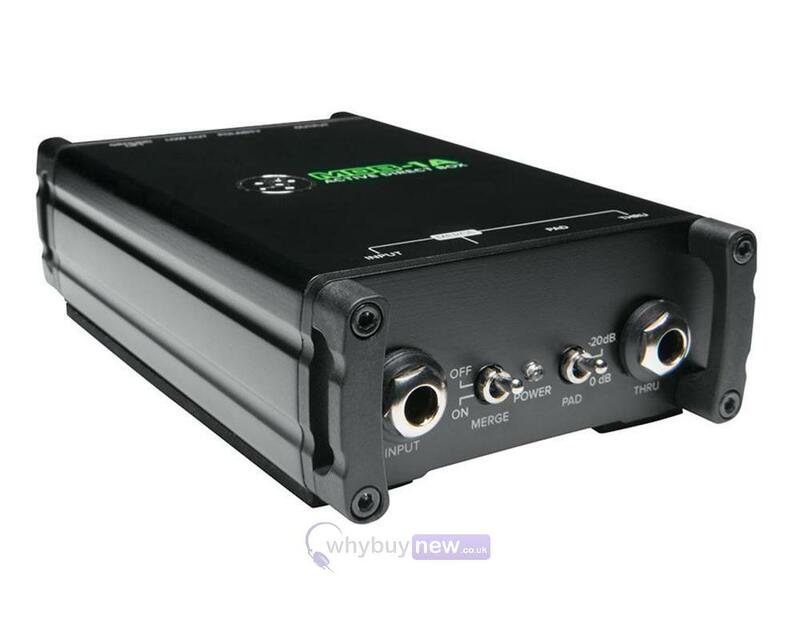 It features a 1/4" unbalanced input with a Thru output, and a balanced XLR output, with the option of turning the Thru in to a second input using the merge switch. This feature is ideal for connecting stereo instruments (e.g. synths, media players). Also featured is a low-cut switch, which cuts out bass frequencies below 120 Hz, sharpening the lower frequencies of your desired sound and also reducing feedback. Sturdy and reliable as well as having superb quality functions, the MDB-1A is made with Mackie's Built-Like-A-Tank construction. Great for active instruments like guitars and basses with active pickups and preamps, the MDB-1A Active DI features increased headroom and distortion-free operation. Featuring a 1/4" high-impedance input and thru with -20 dB pad plus Merge switch that turns the Thru jack into a second input, perfect for summing a stereo source to a mono input. The balanced XLR output features switches for Polarity, Low Cut, and Ground Lift. For maximum convenience, the MDB-1A is powered by 48v phantom power.